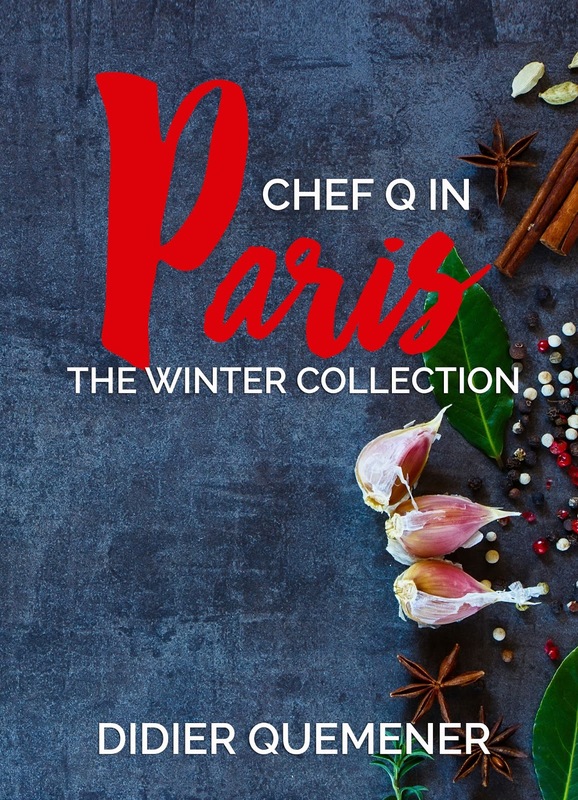 Chef Didier Quémener, author of Chef Q in Paris: The Fall Collection, is back with his second book, this time focusing on winter. Didier's mantra is cooking with seasonal products. They're inexpensive and flavorful. What's not to love? Growing up in the French countryside, Didier learned how to make the most of each season, choosing the tastiest ingredients to warm the body and soul. Today, he shares delicious, easy and inexpensive recipes, as well as tips and stories from his life then and now. Didier discovered his love of cooking as a seven-year-old growing up in the French countryside. With his grandmother, Didier chose juicy tomatoes, flavourful green beans and delicate herbs from their garden to prepare traditional, seasonal French dishes. These days, Didier, as "Chef Q Paris," offers private chef services to tourists and locals in Paris, and teaches at the award-winning Michel Roux Jr. Cookery School in London. Didier has been cited in articles by Quartz and Bloomberg News, has been a guest on France 24 International News and worked on a pastry documentary with Chef Michel Roux Jr. for the BBC Four as well as "Kitchen Impossible" on U.K. Channel 4. Didier lives in Paris with his wife and daughter. He is a regular at the local markets and always enjoys a good coffee at his local café. 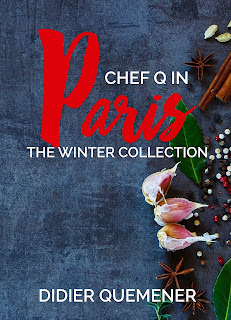 Find Chef Q in Paris: The Winter Collection on Amazon!